Is your surgery table unsteady? Can it no longer reach a convenient height and cannot be moved from room to room? 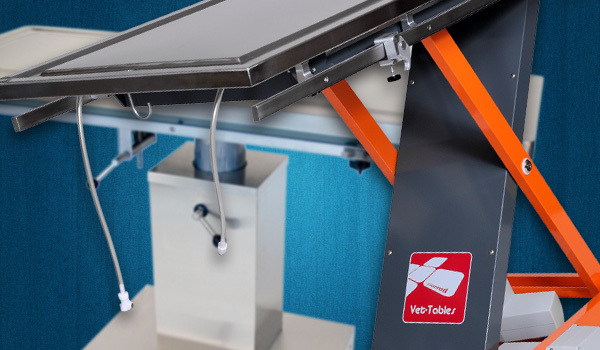 Dispomed’s veterinary table purchase guide can give you pointers to help you make an informed purchase of a new veterinary table for your practice. What is the average weight of the animals you treat? Do you prefer manual or automatic adjustments? Do you need to move the table between rooms? What kind of surgery do you perform the most often? What space is available for the table? Where is the table manufactured? Is the warranty offered by the distributor or the manufacturer? What type of service is offered in case of breakage or defect? Now that your needs have been clarified, use the table below to compare the characteristics of the tables offered by Dispomed. Table-top Dimensions 22" x 60"
* Other dimensions available on request. 22" x 60"
(55.8 cm x 121.92 cm) 22" x 48"
* Other dimensions available on request. 21" x 45"